The annual Social Good Summit kicked off Saturday September 22 with another amazing line-up of speakers from around the globe. This year the event truly created a global conversation with the event and livestream translated into 7 languages. As the head of an organization that views technology and innovation as a way to move the needle on social issues, this annual event presents an exciting glimpse into the potential for technology and social change. Though the rapid fire agenda can at times leave you longing for an opportunity to ask a question of the brilliant panels or exciting presenters, it is an annual opportunity to hear in one place all that is happening in technology and social good. 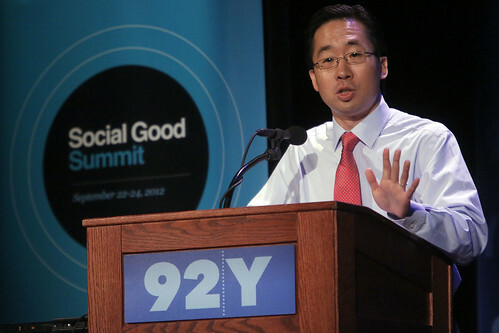 As Todd Park, the US Chief Technology Officer energetically stated, this event puts a spotlight on the “Potential for Awesomeness” by raising awareness of unique and innovative strategies to tackle some of the most challenging issues of our time. Mobile is still the key technology strategy and organizations, governments and institutions need plans to leverage it. It was central last year and once again the growth in mobile broadband access and the potential for global impact with mobile, were a central part of the conversation. Ericsson CEO Hans Vestberg, Hamoudan Toure, Secretary General of the International Telecommunication Union and Lance Ulanoff of Mashable’s discussion on the future of broadband was followed by a roundtable discussion with a small group of bloggers to learn more about the growth and potential for mobile technology. As one of the included members of the group, I asked Mr. Vestberg what he saw as the big change in mobile from last year’s summit. He listed the growth of 200 million to 700 million broadband users and the potential for mobile applications, noting that Ericsson believes that by 2020 there will be 50 billion broadband users. With mobile outpacing desktop users and certain regions of the globe focusing entirely on mobile as a strategy for connection, social change agents need to also keep on top of the advances in this technology. Sec. General Toure pushed for technology and broadband access to be seen as a human need and as an aspect of wealth creation, particularly in high poverty nations. Mobile banking, for example, grew out of a need in local communities for banking in rural and dispersed areas largely on the African continent. When all countries have equal opportunity to leverage mobile technology, this power has tremendous potential to benefit all citizens. Both Vestberg and Toure discussed the need for countries to have a strong broadband plan. There is potential for this technology to address issues in education, health, and poverty but governments, citizens and the private sector must focus on increasing access to the technology. 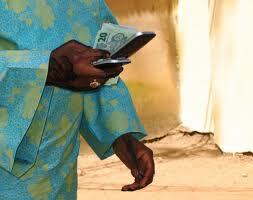 Toure sees technology as a strong strategy for putting money in people’s hands. He stated that “development plans have largely only included help, assistance and charity. If you try something for 50 years and it doesn’t work for God’s sake try something else. Invest in the private sector in creating change.” Both Vestberg and Toure discussed that the advances in technology were not imagined when the Millennium Development Goals were developed and there is a missed opportunity by not including technology in the strategies now. Ericsson’s strategic investment of incorporating their research, resources, and technology on strategies to increase positive outcomes for social issues is an amazing example of corporate social responsibility. When listening to the goals outlined by Hans Vestberg during this conversation and throughout the summit about the work of Ericsson in creating a positive impact, you instantly see that this is more than just talk for their organization. It is great to see a company that truly understand their role not just in terms of profits but as good corporate citizens. Some great ideas and innovations were shared throughout summit related to data and information. Many take everyday information and make it useful to those interested in social change issues. Slavery Footprint (which we have previously covered on NotEnoughGood.com) has a mobile and online application that allows individuals to better understand how the things they consume and use, connect to the larger issue of human slavery. Though we recently celebrated the 150th anniversary of the Emancipation Proclamation, there are millions of slaves in countries around the globe, including the US, connected to items used daily. Ericsson is working with universities, such as MIT, to learn from the massive data streams that are know available. They are looking at things like what happens with garbage, how to locate people during disasters through their mobile activity or the more than 400,000 pictures taken in the arena during the Olympic opening ceremonies and the potential to use this type of information and build infrastructures to support that new knowledge. 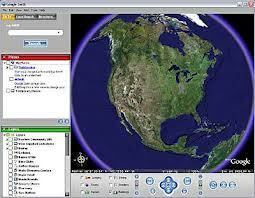 Google Earth is amazing! You can use it in remarkable ways for advocacy as was explained by Rebecca Moore, Engineering Manager for Google Earth. During her presentation she shared examples of the Sirui tribe in the Amazon using the technology to protect their local culture and promote conservation and her own California neighborhood using the maps and images to advocate for preservation of a local waterway. The restorative imaging can show before and after images of terrain and local communities allowing increased awareness of environmental and conflict impact. Todd Park was one of the most energetic presenters during the entire event and he shared a great and extremely under utilized resource – Data.gov. This online government resource provides access to the ton of data located within the many government agencies and programs. This includes community profiles, education data and human services information that the US government has released as an open source data resource. For students, organizations and social entrepreneurs this data is a great place to truly understand the root of social problems and issues facing this country. If you missed any of the event you can see individual videos from each panel and/or speaker on the livestream page. It was said several times that though technology is great, it requires the human element to create change. A key part of the Summit that I felt this year and last, is that though the format (a collection of nonstop TEDx type speakers or short panels) allows a packed agenda with big names and players, it also removes any requirement beyond discussion. Diverse conversations and awareness have a huge part to play in the beginning of efforts for change but for lasting change to occur, we have to move beyond the highlights and conversations. So what’s next? Those of us in attendance need to follow-up and connect on how we are going to use these great techniques and best practices in technology. Why not use technology to create ongoing online communities for partnership, planning and development around the items highlighted in the event. I am open to working with others to move the conversation to action. Let’s realize the potential for awesomeness together!